Meaningful interpretation of archaeobotanical assemblages in the Near East often includes determination of whether dung fuel is the source of some or all of the recovered plant remains. In the years since Miller (Economy and Environment of Malyan, a Third Millennium B.C. Urban Center in Southern Iran. Ph.D. Dissertation, Department of Anthropology, University of Michigan, Ann Arbor, 1982; Paléorient 10:71–79, 1984) and Miller and Smart (J Ethnobiol 4:15–28, 1984) first identified archaeological plant remains from Malyan (Iran) as those of burned dung, subsequent archaeobotanical, experimental, and ethnographic research has been undertaken to test and expand her criteria for its recognition. A key criterion of Miller’s was a high ratio of weed seeds to wood charcoal (or a low ratio of charcoal to weed seeds). When used together with other quantitative measures based on standardizing ratios, this measure can help to illuminate variability in the sources of the recovered carbonized plant remains and some of the taphonomic processes that contributed to the resulting assemblage. Using the Late Early Halaf dataset from Fistıklı Höyük, Turkey, as a case study, non-parametric statistical analysis was applied to eight such measures, including a new Fragmentation Index (FI), density measures (per litre of sediment) for charcoal, cereal grains, weed seeds, chaff, non-wood items, and cereal-type indeterminate non-wood items, and a relative density measure of charcoal to weed seeds. Each measure was calculated on the basis of 35 samples (n = 8,532). The results of this analysis indicate that these measures, when used in combination with Miller’s weed seed to charcoal ratio, implemented here as the relative density of charcoal to weed seeds, can reveal recovery context-related variations in formation processes that help to clarify both the role of dung fuel in assemblage formation and to differentiate the remains of cereal processing from those of burned fuel. I am grateful to Susan Pollock and Reinhard Bernbeck for allowing me the opportunity to study this material. I thank Chantel White, Mac Marston, and Alan Farahani for inviting me to participate in the SAA session to honour Naomi Miller as the 2017 recipient of the Fryxell Award and for their encouragement throughout the writing process, and the Charles P. Taft Research Center for a writing fellowship that enabled its completion. Thanks are also due to two anonymous reviewers who provided many helpful suggestions for the manuscript. Alan Sullivan deserves special thanks for discussion of taphonomic issues and helpful advice concerning statistical analysis. Finally, I thank John Wallrodt for preparing the figures, and Kathleen Forste for help with preparation of an earlier version of Fig. 2. 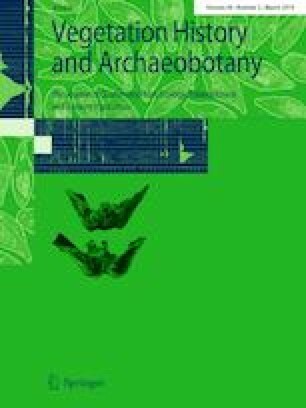 Funding for archaeobotanical analysis was provided by a grant awarded to Susan M. Pollock from the Wenner-Gren Foundation for Anthropological Research. Funding for writing and editing in 2018 was provided by a Taft Center Fellowship from the Charles P. Taft Research Center at the University of Cincinnati.